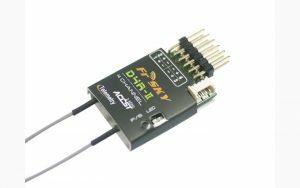 I used a FrSKY D4R-II receiver and a DHT DIY Tx module with an Arduino Pro Mini for the purpose of this post. 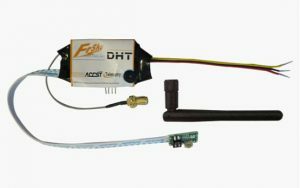 These FrSKY products use the older “D mode” telemetry and the DHT module is now discontinued, but I’ll be updating this post to deal with the newer S.Port Telemetry soon. First thing to be aware of is that the Telemetry data where it emerges from the transmitter module on the Txd pin is designed to be connected to a PC-type RS232 port. It works at voltage levels of about +6V swinging to -6V. Don’t connect it directly to your Arduino! It could damage either the module or the Arduino! So for the purpose of this post we connect the signal from Txd through a 100k resistor to Arduino Pin 11 (you can choose any digital or analogue pin with small modifications to the code), and you need to connect the GND pin from the module to GND on your Arduino. There may be several different packet types when telemetry sensors such as an altimeter are present, but for now we’ll ignore all but the most basic type of packet. This packet type with a signature byte of FE is always present and contains the RSSI (received signal strength indication) and the two analogue voltages AD1, and AD2. As well as the signal strength received by the receiver, this packet also contains the signal strength received by the transmitter – but we’re not usually interested in that – we’re interested in how well the receiver can “hear” the transmitter and not the other way round! The handlePacket function in this example just extracts the byte values for rssi, a1, and a2 and makes them available as global variables. In my next post, I’ll expand on the data packet handling to explain how different types of telemetry sensor data are encoded, and how you can even send your own home-brew telemetry data back to the ground by injecting a serial data stream to the receiver on board your model. Very nice. 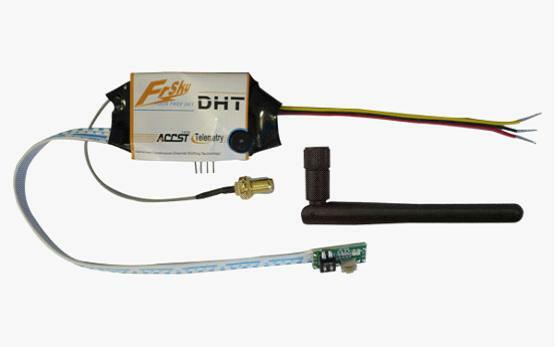 I just tested this with my FrSky DHT TX and FrSky D8R-II Plus and it worked the first time I powered it up. This is the kickstart I needed for my project! very good , if you wanted to decode the telemetry of the tbs crossfire module connected to the taranis?